We provide 24-hour emergency glazing and boarding for the commercial sector. 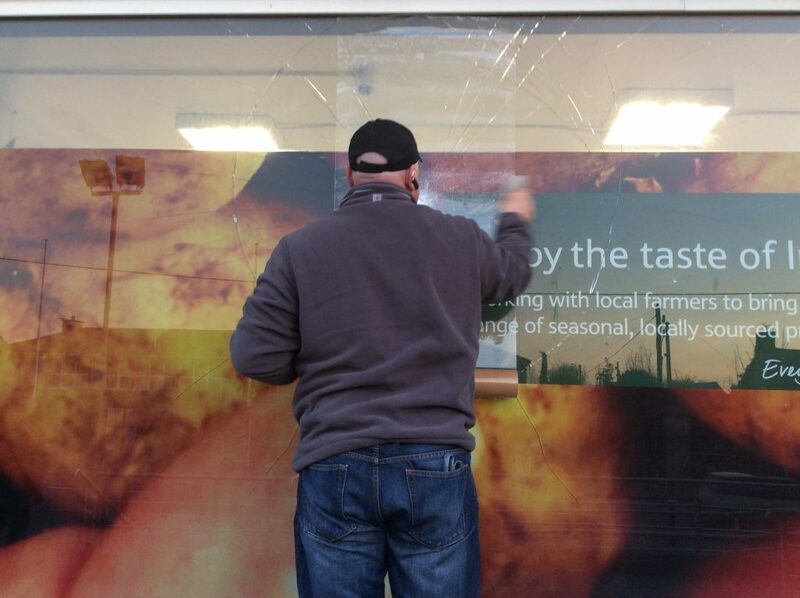 All sizes of shop fronts replaced same or next day in all normal circumstances. 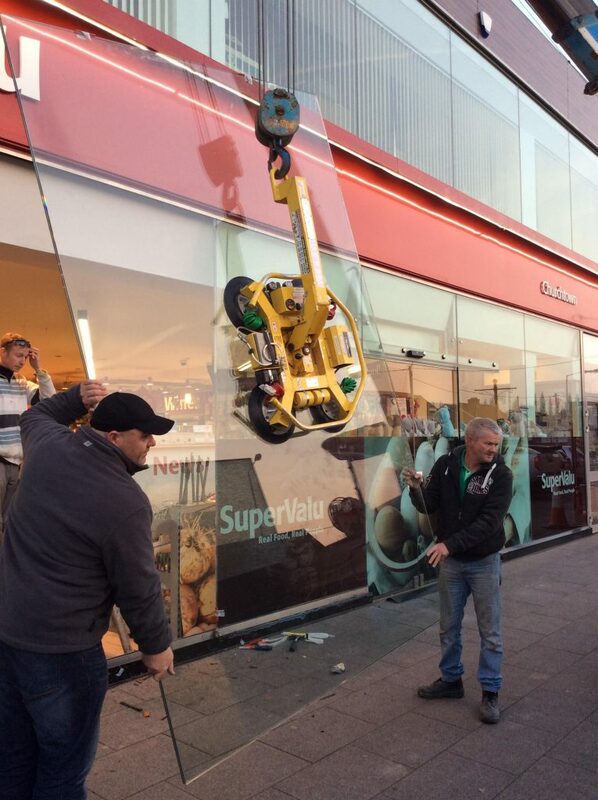 We use laminated safety glass from 6.4mm to 11.5mm and upwards for shop fronts and door panels as required. We can install all types of toughened glass from 6mm – 19mm and upwards, for balustrades and frameless glass doors including extra fast processing for cut outs and notches. We do putty Glazing hack outs, metal casements window and spring-loaded sashes. All types of office partitions whether toughed or laminated. Emergency boarding of all kinds including temporary doors. Fire rated glass including all types of Georgian wired glass and Georgian wired polished plate, for a 30-minute fire rating. Transparent wireless fire rated glass with various thicknesses with fire ratings ranging from 1 to 3 hours. Acceleration to contract specialist orders. Glass bends fitted in annealed glass and laminates. Polycarbonate’s from 4mm upwards including trademarked names like Lexan and Makrolon supplied only or supplied and fitted. Roof glazing and height work. Oversized double-glazed units with specialist make ups. (see also double-glazing section). Glazing contracts and multiple hack outs. At Crystal Glazing, we believe that first impressions are extremely important. We aim to make the best first impressions with each of our clients and we aim to help all of our commercial clients to make the best first impressions with their customers. We provide shopfront glazing across the Dublin Meath Kildare Louth Wicklow with extremely fast turnarounds and no fuss to ensure that you can continue trading without any long disruptions. If you are on this page because you are looking for a company offering the very best in shopfront glazing to all your 24 hour 7 days a week 365 days of the year .